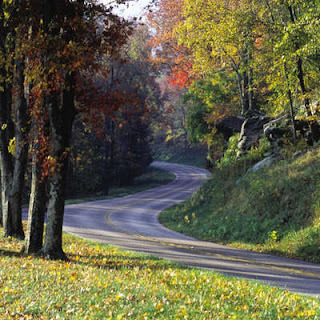 Road Skyline Drive Become the main Tourist Attractions in Virginia. 169 km-long road offers beautiful views of a typical spring. Smooth road which divides the Shenandoah National Park in Virginia, USA decorated with leaves growing and blooming flowers. This is a beautiful road Skyline Drive in Virginia, USA. Blue Ridge Mountains that surround the manly beauty of this route. More than 1,300 species of plants naturally decorate all the way. Warm air to draw flowers are blooming. Indeed these lines are designed to pamper the riders who pass through. A row of trees at the curb will be very beautiful when spring comes. Bare trees will slowly be replaced with new leaves with light green color. The beauty is enhanced by colorful flowers that decorate the trees and grass. In May, the road will be decorated with beautiful pink flowers Azaleas. Another flower that will bloom in June, there will be thousands of white flowers that cover the surface of Mount Laurel. If you do not want to miss the beautiful scenery too fast, you can hike there. 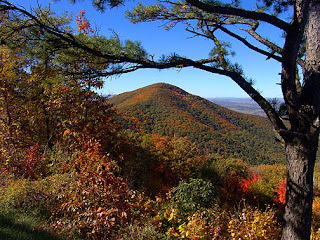 Shenandoah National Park is open to the public and you can choose from several hiking package is provided in there.